Warning: US Volunteerism at a Decade Low! The rate of volunteerism in America fell to the lowest level in a decade, according to the US Bureau of Labor Statistics report Volunteering in the United States — 2013. This appears part of a downward trend. Volunteers provide an essential labor pool. Approximately 62.6 million (25.4 percent) Americans volunteered at least once between September 2012 and September 2013. The median volunteer spent 50 hours on volunteer activities during the study period. These significant volunteer hours mean that volunteers are a valuable part of the nonprofit labor force. Declining volunteerism rates mean charities will either have to limit services, discontinue certain activities, or pay for employees to perform the tasks formerly handled by volunteers. Volunteers serve as ambassadors. Individuals who volunteer usually act as ambassadors for the organization. They obviously have a high-degree of interest in the organization, which is why they volunteer with it. Through volunteer experiences, provided they are good ones, the volunteers will become more engaged with the organization and more passionate about its work. They will speak of the organization with family and friends. When they do, it will be in a positive, passionate tone. This word-of-mouth promotion will help your organization to attract additional volunteer and donor support. 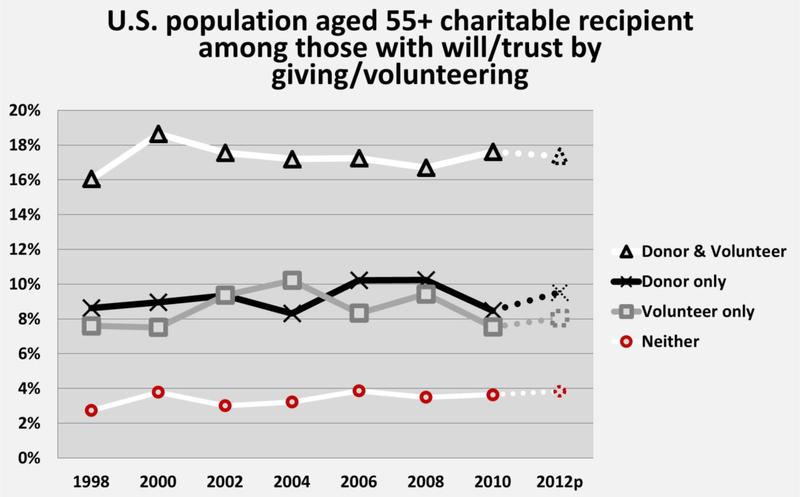 Volunteers are more likely to donate. The more engaged an individual is with his community, the more likely he is to volunteer and contribute money to nonprofit organizations. The more points of connection there are between an individual and a particular nonprofit organization, the more likely that individual is to give, give often, and give generously to that organization, as I point out in my book, Donor-Centered Planned Gift Marketing. Volunteerism is an important point of connection. This phenomenon is explained, in part, by the Social Capital Theory popularized by Robert Putnam, author of Bowling Alone. Graph from American Charitable Bequest Demographics (1992-2012) by Russell James. Furthermore, those who only volunteer or only donate ($500+) are more than twice as likely to make a legacy gift than those who do neither. For a free electronic copy of James’ book, subscribe to this blog site in the right-hand column. You’ll receive an email confirmation of your subscription that will contain a link to the book. Clearly, the steady decline in volunteerism represents a serious problem for the nonprofit sector. So, why is volunteerism on the decline? Unfortunately, the reasons for the decline are unclear. However, the report contains some clues. Donor-centered fundraising is smart fundraising. Part of being donor centric involves always honoring the donor’s intent. It’s a fundamental way to earn and deserve trust. Without trust, fundraising would be virtually impossible. To honor donor intent, you must first ensure that the contribution is received according to the donor’s specifications. This is particularly important for planned gifts when the donor is no longer around to make sure everything goes according to plan. The charity becomes the voice of the donor. The next part of honoring donor intent requires that the organization use the gift for the purpose specified by the donor. Unfortunately, honoring donor intent is not always an easy thing to do. Sometimes, it works the right way while other times it morphs into something ugly. The Pennsbury Scholarship Foundation learned of the passing of an elderly woman in the community. 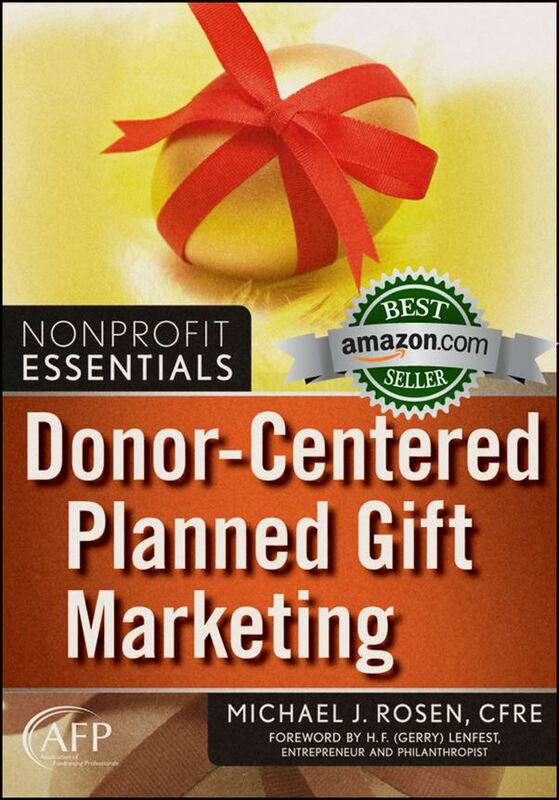 I first shared her story in my book, Donor-Centered Planned Gift Marketing. A member of the all-volunteer organization’s board knew the woman and knew the Foundation was in her will. The woman’s attorney produced a copy of the will which included a nearly $1 million bequest for the Foundation and nearly nothing for her two estranged children. However, the children produced another version of the will where the charitable provision was whited-out, literally. The attorney for the children approached the Foundation to negotiate a settlement agreement. The Foundation, under the advice of legal counsel, held firm and asked that the matter proceed to court as soon as possible. The attorney for the children initiated a series of delaying tactics hoping that the Foundation would eventually negotiate rather than have the matter drag out. Under the advice of legal counsel, the Foundation held firm. About one year later, surprisingly quickly given the circumstances, the court upheld the clean version of the will, and the Foundation received the full bequest. In the Foundation’s case, the donor’s interest was in alignment with the charity’s. The Foundation was right to defend the donor’s wishes. By defending the donor’s interest, the Foundation ultimately benefited. More importantly, young people in the community will benefit for years to come as the Foundation provides scholarships that would not otherwise be possible to award. Sadly, there are times when protecting the interests of the donor cross a line. In those cases, the organization goes from being donor centric to being self-centered, even greedy. This might be the case with the University of Texas. 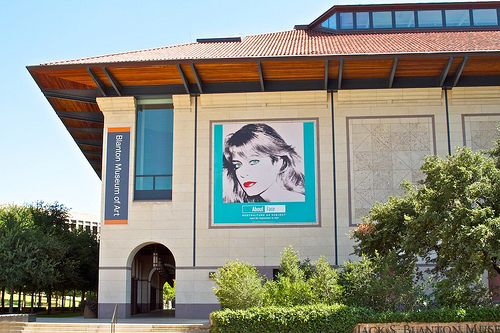 Warhol’s Farrah Fawcett portrait on exhibit at the UT Blanton Museum. The University received a bequest from Farrah Fawcett. The Seventies icon left “all” her artwork to the University where she had studied art prior to the successful launch of her acting career. The collection included at least one portrait of Fawcett by famed artist Andy Warhol. However, the Fawcett story is complicated. Warhol actually did two, almost identical pieces. According to Ryan O’Neal, the actor and on-again-off-again boyfriend of Fawcett, Warhol gave one portrait to Fawcett and the other to him. Are Dangling Bits a Good Thing? 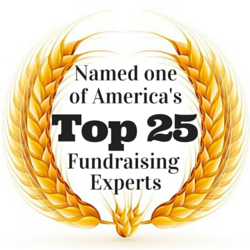 As fundraising professionals, we spend a significant amount of time creating messages to our prospects and donors. We carefully write copy for letters, emails, reports, newsletters, and web pages. However, can your intended audience easily read your well-written communication? If they can’t, they’re likely not reading what you write at all. Instead, I decided to keep my perspective and use Robin’s message as a teachable moment, for you and for me. 1. 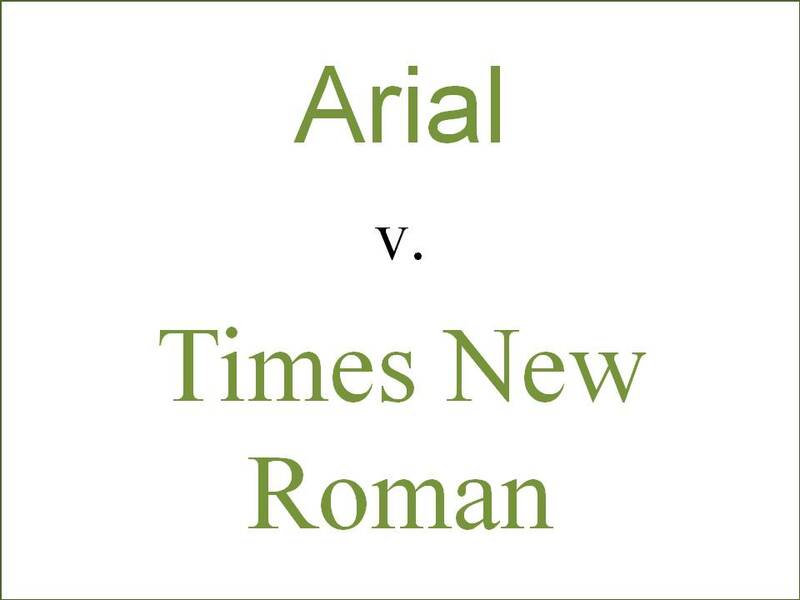 In print, use a serif font such as Times New Roman. Serif fonts have little dangling bits attached to letters while sans-serif fonts such as Arial do not. Studies have shown that readers have an easier time reading printed text that uses serif fonts. 2. In electronic communications, use a sans-serif font such as Arial. Studies have shown that readers have an easier time reading electronic media messages that use a sans-serif font. The cleaner lines of a sans-serif font make it easier to read a message on a low-resolution screen or a small screen such as a smart-phone. 3. Never use reverse type. Reverse type, whether in print or electronic media, is more difficult to read than dark type on a light background. It’s also easier to cut-and-paste, photocopy, and fax copy that uses dark type on a light background. Some designers like to use reverse type for emphasis or because it looks pretty. Nevertheless, you should resist the temptation to use reverse type for the reasons stated. The darker the type and the lighter the background, the better. As 2013 drew to a close, Michael Rosen Says… announced a chance for readers to win a free copy of Donor-Centered Planned Gift Marketing. To enter the book drawing, readers needed to share the title of a favorite book they recently read about fundraising, philanthropy, or civil society. You can read the original post and discover what books have been recommended by clicking here. You can find other reader recommended books by visiting The Nonprofit Bookstore (powered by Amazon). The winner of the contest is Pete Stroble, President of the British Transportation Museum (Ohio). Pete’s name was randomly selected by guest judge Tracy Malloy-Curtis, Director of Philanthropic Planning at the International Planned Parenthood Federation/Western Hemisphere Region. I thank Pete for his book recommendation and Tracy for selecting our winner. For writing Donor-Centered Planned Gift Marketing, I won the AFP/Skystone Partners Prize for Research in Fundraising and Philanthropy. The best-selling book is listed on the official CFRE International Resource Reading List. The average reader review on Amazon is 5-stars. You can find the book by clicking here. With a gift of $992.2 million of Facebook stock to the Silicon Valley Community Foundation, Mark Zuckerberg and his wife, Dr. Priscilla Chan, find themselves at the top of The Chronicle of Philanthropy’s list of largest philanthropists in 2013. 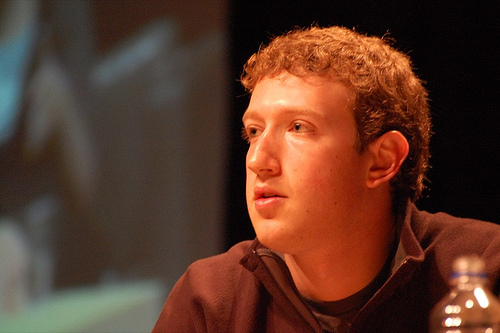 Zuckerberg, at age 29, is the youngest philanthropist ever to top The Chronicle’s annual list of largest donors. George Mitchell, with a bequest gift of approximately $750 million to the Cynthia and George Mitchell Foundation, ranked second on the 2013 list. In total, the top donors of 2013 contributed $7.7 billion plus $2.9 billion in pledges. The numbers and ranking are based on publicly available information. The game itself was fun in its own bizarre, lopsided way as the Seattle Seahawks crushed the Denver Broncos by a score of 43 to 8. The Bruno Mars part of the Half-Time Show was entertaining, though the Red Hot Chili Peppers portion was inappropriate for a family audience. I also enjoyed the amusing Super Bowl commercials. Debuting funny, quirky, sometimes sentimental ads during the Super Bowl has become an advertising tradition. My wife actually enjoys the commercials more than the game, a lot more. Clearly, the advertising profession believes in the effectiveness of using humor in television commercials. While the fundraising profession is not well known for having a raucous sense of humor, it’s not a profession that’s devoid of humor. Just as humor can help the for-profit sector sell goods and services, nonprofit organizations can leverage humor to inspire support. Indeed, some charities use humor to great effect, for general fundraising as well as planned giving. You Can Use Your Stock to Make More Than Soup! In my book, Donor-Centered Planned Gift Marketing, I share a story from Rebecca Rothey, CFRE, when she was Director of Planned and Principal Gifts at Catholic Charities of Baltimore (she’s now Director of Major and Planned Giving at the Baltimore Community Foundation). Rebecca used humor quite successfully when branding her planned giving program. Rebecca wanted to use humor to cut through the clutter and grab attention. She also wanted to ease the stress that people feel when considering their own death, stress that often keeps them from considering planned gifts. She came up with an idea she thought would work for her target market: older, traditional women. • You don’t have to be upper crust to have a trust. • You don’t have to be rolling in dough to make a gift that will last forever. • You can have your cake and eat it too—you can make a gift and receive payments for life. • You can count your chickens before they hatch—you can make a gift and count on receiving payments for life. • Don’t let taxes knock the stuffing out of your IRA. • You can use your stock to make more than soup, you can use it to make a charitable gift. • Too much on your plate to plan your estate? While Rebecca thought she had a good idea, she first tested it before rolling out with it. Rebecca carefully tracked the statistical results as well as the feedback she received. Her methodical, appropriate use of humor worked, and she closed gifts as a result. Rebecca’s use of humor also had an unexpected benefit. It engaged senior management. It got them joking about and more comfortable with the planned giving program. The use of humor also made Rebecca more approachable by staff.